Living away from home sometimes you get homesick and just want something that reminds you of a familiar place. Back in Houston I loved waking up on Saturday’s and eating breakfast with my parents at a local diner called TelWink. The service is always great and the food is so amazing you are willing to wait in a line that wraps around the restaurant. So last Saturday I was on the quest to find a no frills breakfast spot that would remind me of home. I decided to try Vittles in Donelson. It is quaint and in an unassuming strip mall. While there was no line out the door it got good reviews on Yelp, so why not give it a shot. 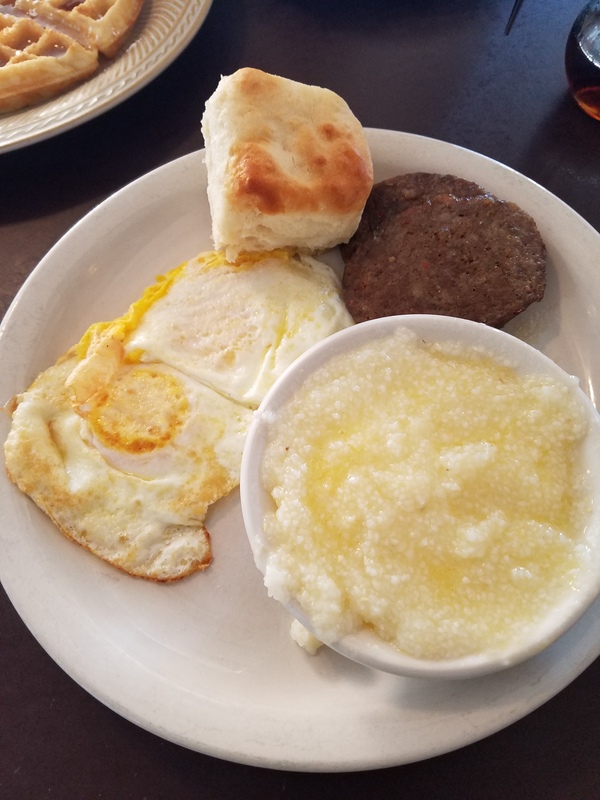 I chose to kept the meal simple and just order your basic eggs, sausage and grits. Ya’ll know how I feel about grits, so this was a test to see how good the restaurant actually was. If you cant cook grits you might as well shut down. The food came rather quickly and was nice and hot. Everything tasted good including the grits! While Vittles is definitely no TelWink it was still fairly good. If you’re looking to grab breakfast in Nashville give Vittles a try. Back when I was in college Belmont Blvd only had a quaint little coffee shop,a Circle K gas station, a little Asian market, a not so great Greek restaurant and, an under rated Asian fusion spot. There wasn’t much traffic behind the college students and a few neighborhood peeps. Well boy have times changed. With the growth of Nashville, Belmont Blvd was definitely not left out of the revitalization. Everyone was finally hipped to Asian fusion and realized how amazing PM was. That Greek place was torn down and 2 new trendy restaurants were built. A few weeks while visiting my alma mater I decided to try one of those new trendy spots. Out of the two we chose BLVD. The restaurant was cute and a perfect mixture of hipster flare and southern charm. 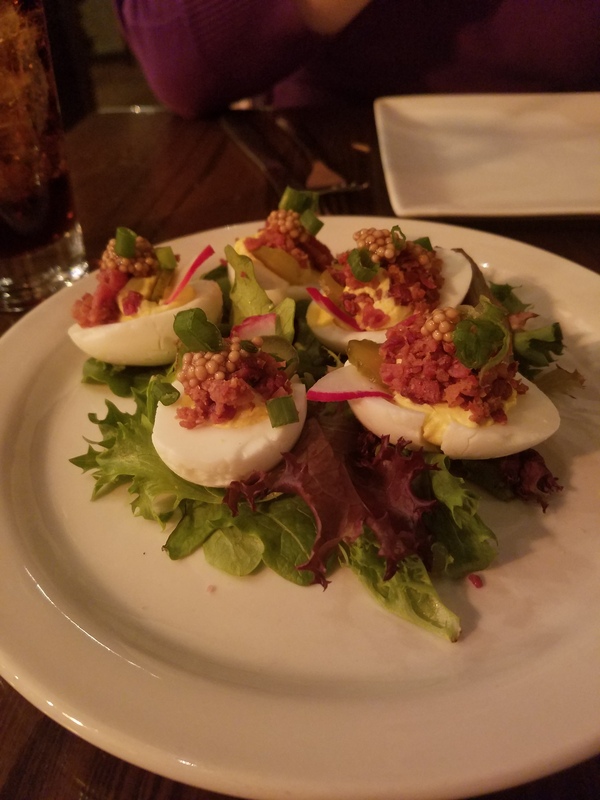 We decided to order the deviled eggs as an appetizer because who doesn’t love deviled eggs. But let me tell you these were not your Granny’s eggs. While they were definitely lacking a creaminess the bacon and mustard seeds were a nice touch. 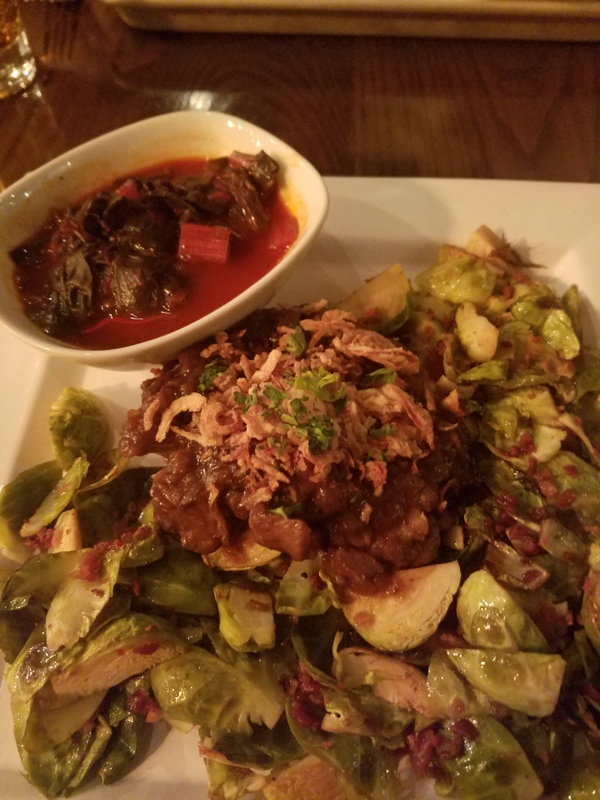 For my meal I went with the braised short rib, the swiss chard and the bacon parmesan brussel sprouts. While the chard was in this red sauce that was a bit pungent, everything else was a hit. The short rib with super tender and flavored well. The sprouts are destined to make anyone a believer! Even if you aren’t a fan of brussel sprouts trust me when I say you would enjoy these. Overall I really enjoyed BLVD and will definitely be back. 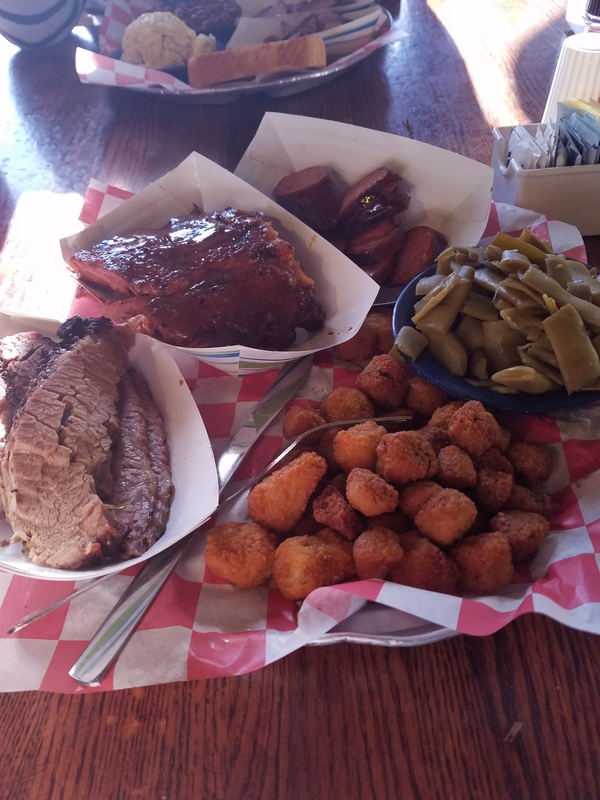 Since moving to Tennessee I have been on a search for good bbq. Nice and tender smoked meat with good flavor. 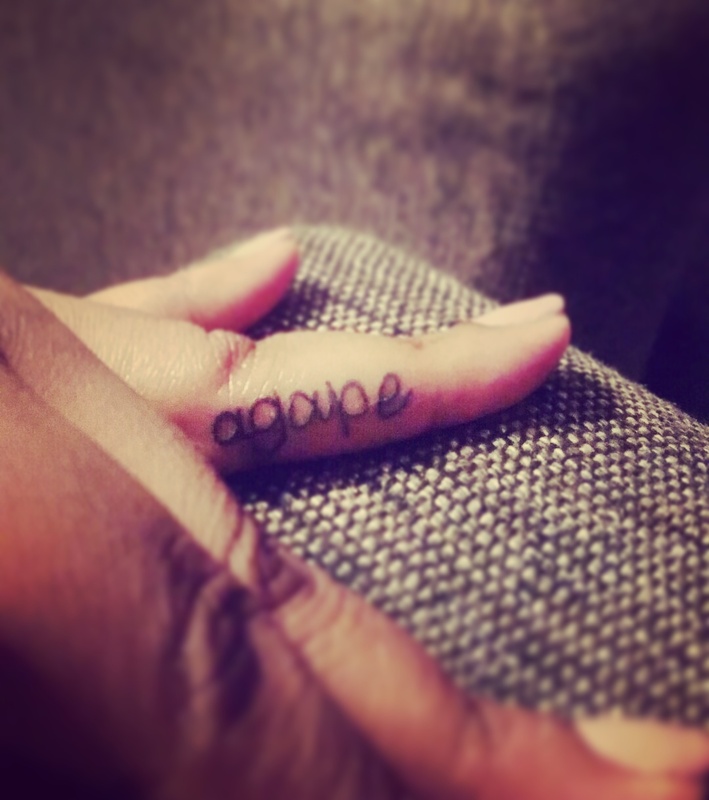 However, so far that has been hard to find. I was super excited to try Judge Beans located in Brentwood that describes itself as Texas bbq in Tennessee. I brought along my best friend who also happens to be a Texas transplant to give them a try. We walked in and could smell the smoke which is always a good sign! The place was quaint and decked out with Texas memorabilia. The staff was friendly and well right at home. It did have a smokey flavor which was appreciated. However, the brisket was bit dry, the ribs were ok, the sausage tasted like hot dogs. Now typically, I’m not that much of a bbq sauce kind of girl but sometimes its need. This time though the sauce just didn’t cut it. It had an overwhelming amount of vinegar in it. The taste was almost off putting. Not a fan. I wanted to love Judge Beans put in my humble Texan opinion it was simply just alright.